It has been eight years, but the median annual household income in the U.S. has finally gone up. According to the Census Bureau, it is now $56,500. That’s a 5.2% gain from last year, which is quite an impressive jump. In addition to being the greatest one-year median increase on record, this marks the end to a nearly decade-long rut American wages have been stuck in. 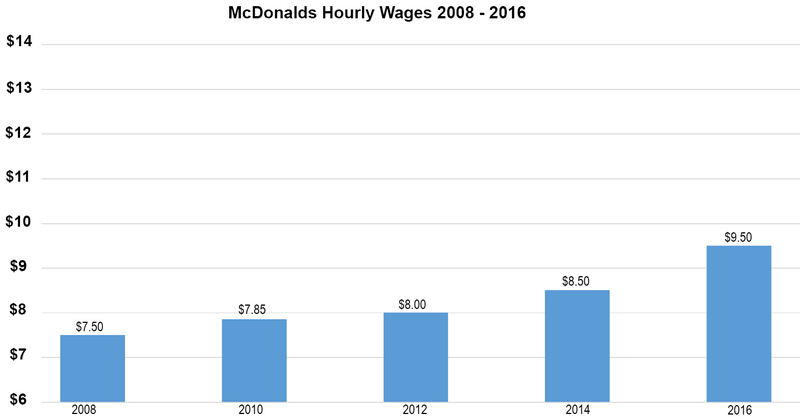 The median increase means employers are paying all employees more, including long-ignored hourly workers. Taking inflation into account, hourly pay has increased by about two percent. Some of the country’s largest, most recognized employers are raising their wages, giving hourly workers much needed pay bumps. Walmart, the U.S.’s largest employer, has made headlines for increasing pay for nearly all of its associates. Job-Applications.com analyzed average pay rates for common jobs, like cashier and sales associate, and average Walmart workers now make 50 cents to a dollar more per hour, which is about a five percent raise. 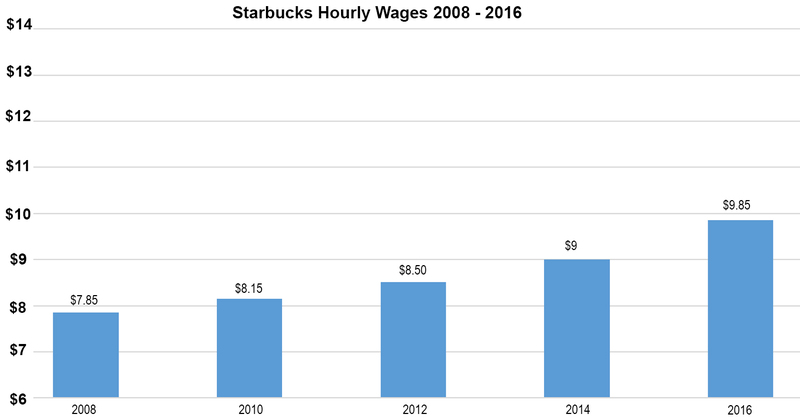 Starbucks is also leading the trend to increase wages by five percent. The coffee shop chain plans to implement the wage hike in all of its stores in the coming months. We are already seeing wages have increased by about three percent. 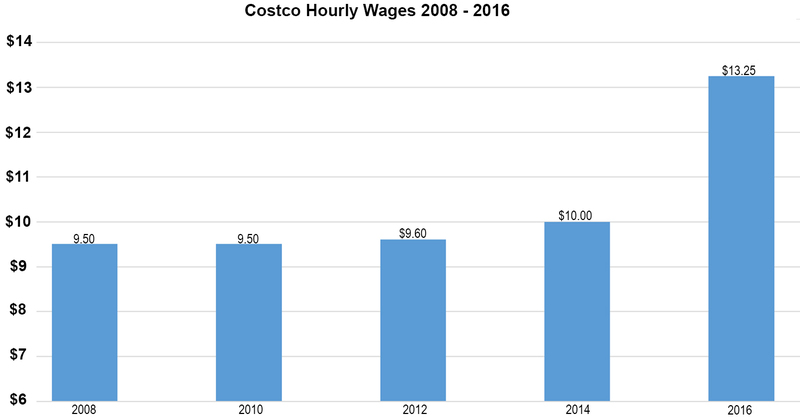 We have also seen Costco raising its hourly pay by an even greater margin. This should not be surprising, as the brand has a reputation for compensating staff members well. Though wages were somewhat stagnate for the past few years, pay rates are now increasingly significantly. Compared to earning $10.00 to $12.00 an hour in the past, hourly workers are now making as much as $13.50 per hour. The department store retailer also offers some of the highest pay to long-term hourly workers, who can make as much as $22.50 an hour in some positions. In all, these recent pay increases give a positive outlook for job seekers. Current hourly workers and people looking to enter the workforce can feel more comfortable with their hourly jobs. Further minimum wage increases are also on the horizon, like the often talked about $15.00 minimum wage proposal. So hourly workers may be making even more in the coming years.